Vice President Mike Pence has been kept in the dark about former National Security Adviser Mike Flynn's alleged wrongdoing, according to a source close to the administration, who cited a potential "pattern" of not informing the vice president and calling it "malpractice or intentional, and either are unacceptable." A White House spokesman called The Times' report "flat wrong" on Thursday, but the latest revelations, including a report that Flynn called off a military mission in Raqqa after working as a foreign agent for Turkey, only broadened the scope of questions around Flynn's time as an adviser to the Trump campaign and the eventual National Security Adviser. The source called the report of another discretion by Flynn "stunning." This would be the second time that Pence claims he was kept in the dark about possible Flynn wrongdoings, despite the White House's alleged knowledge of them. Earlier this year, Pence said he was not made aware of Flynn's discussions with Russian officials until 15 days after Trump and the White House were notified. 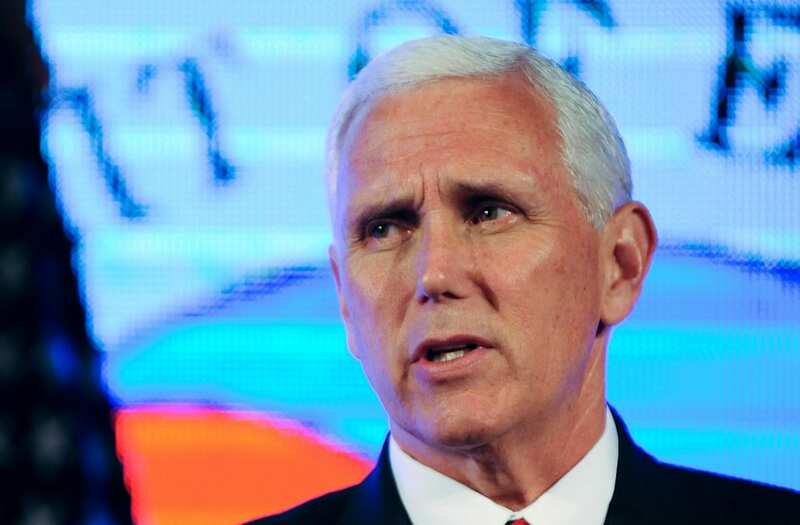 "It's also a fact that if he told McGahn that during the transition, it's also a fact that not only was Pence not made aware of that, no one around Pence was as well," the source said. "And that's an egregious error — and it has to be intentional. It's either malpractice or intentional, and either are unacceptable." A White House aide said Thursday that Pence "stands by his comments in March upon first hearing the news regarding General Flynn's ties to Turkey." The source close to the administration did not blame President Donald Trump for allegedly not making the vice president aware, suggesting it was likely the president had assumed Pence and his team were "in the loop." The source also said Pence was not consulted about the decision to bring on Flynn as the National Security Adviser in November. The two men, according to the aide, "never" had a personal relationship and suggested the two may have never had a personal meeting during the transition. "You never saw him promoting Flynn," the source asserted. The source said there is concern about what the source called "a pattern" of keeping the vice president distant from information about possible Flynn wrongdoings. "There's a pattern as it relates to the Flynn situation — vis a vis Pence — that he was never, either intentionally or unintentionally, made aware of the facts," the source close to the administration said. Asked about a letter from Rep. Elijah Cummings to Pence on November 18 that warned the transition team about Flynn's work for Turkey, the source asserted: "I'm not sure we saw the letter."